The market for purchase loans remained robust in June, according to the most recent Ellie Mae  Origination Insight Report. The percentage of closed purchase loans increased to 71 percent, up one point from the prior month, the report revealed. Ellie Mae said that this was a new high since it began tracking mortgage data in 2011. In June, the report  found that the 30-year interest rate rose yet again to 4.9 percent, up from 4.84 percent in May. It indicated that Adjustable Rate Mortgages (ARMs) rose to 6.9 percent, up from 6.6 percent the month prior. According to the report, the time to close all loans rose one day to 42 days in June. For refinance loans, the time to close remained unchanged at 37 days, while it increased by a day to 44 days for purchase loans. 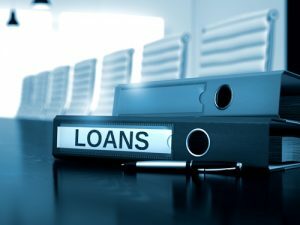 Looking at other loans, the percentage of refinance loans decreased across the board with FHA refinances slipping to 19 percent, conventional refinances declining 31 percent, and VA refinances falling 23 percent, the report indicated. Additionally, overall FICO scores of borrowers increased slightly for the fourth consecutive month to 726, up two points from May. The Origination report mines data from a sampling of around 80 percent of all mortgage applications initiated on Ellie Mae's mortgage management platform. It represents a reliable proxy of the underwriting standards employed by lenders across the country.